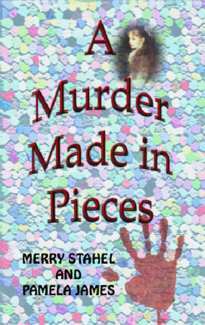 Mystery Most Cozy, our online reading group, recently read Pamela's and Merry's first book in the Cyrinda Tumblebrook series, A Match Made for Murder. Pamela is a member of the forum and graciously agreed to take questions from our forum members. Mystery Most Cozy thanks her! CLICK HERE to read Mystery Most Cozy's Q&A with Pamela. CLICK HERE to visit Pamela's and Merry's official web site. CLICK HERE for info on Mystery Most Cozy's next scheduled reads with author's Q&A.